This fictional story plays on sensitive issues that are seen in the real world but never discussed which involve politics, governmental control, war, power, money, freedom, and the ultimate cost of human life. This story starts with Clay a strong handsome boy who lost his moms to government officials pretending to test them for viruses given to them by those in war with America at least this is what they are constantly told. The government is on a rage to find cures for viruses forced upon American citizens but the camps they send innocent people to be not solely created to find a cure. Finding a cure is one aspect of the campsites but the main objective is a lot more gruesome and deadly more so then the pseudo-virus. This Cold-War like war in the story leaves citizens vulnerable to the point where they don’t know who to fear more; other countries, the natural disasters, or their own government that is pretending to put their needs first. It isn’t long until more government officials come back to visit Clay’s home but this time they accuse him of having the virus and forcefully take him to a camp. On his way to these camp sights Clay witnesses death, torture, and separation of those you love truly. The torture that lives and breathes in those camps force people to commit suicide just so they would not be exposed to the torture that will be inflicted on them the moment they arrive. Clay is stripped from all his human rights when he gets locked up during his time in the camp. The only thing he has left is his wit and loud mouth that helps readers fall in love with his strength but regret the choices he makes because his expressive source of freedom puts him in more danger. After torture has been inflicted on his body, muscles, veins, he is presented the option to breakout with a few other cellmates that were not as sick as they were first claimed to be… at least not from a foreign virus. Even though a few people were out together with the world crumbling beneath their feet they always knew that full trust was never an option. They had to work together to survive but also remain completely aware of their surroundings at all times. During this survival of the fittest escape plan a love unravels that offers hope and a glimmer of light that makes any reader really connect with the story and all of its struggles. 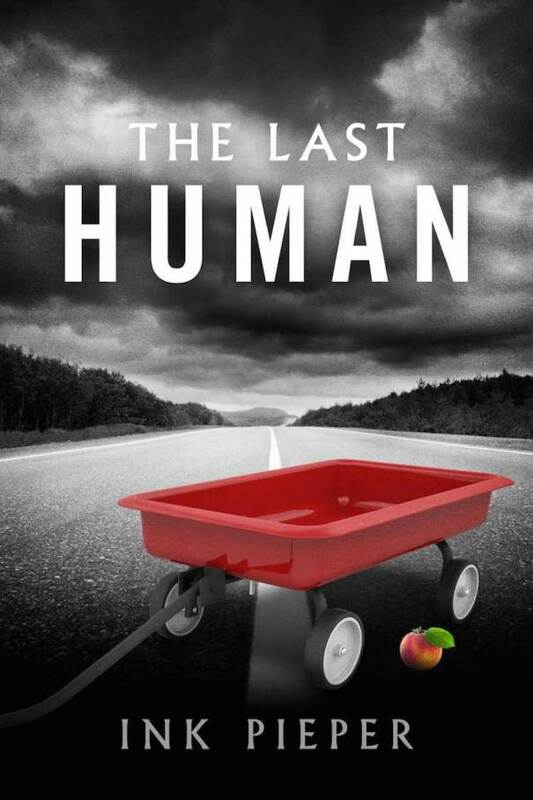 By the end of the story we are left with tear stains, a broken heart, an angry sense of rebellion, confusion, and fear because Ink Pieper was able to turn “The Last Human” drama into a horrific representation of what our reality might look like. Sylvia is a wickedly whimsical Californian with the superpower to marry passion and creativity through her writing. She is a critical communication scholar at CSUN, currently working on her Master’s Degree with an emphasis on Popular Culture. She loves to read at the peak of the beach as the ocean breeze gives her strength and water offers her inspiration. Her passion also pours into viewing classic films from the 1930s that accentuate words like darling, love, and the butler did it! Reading, dancing, rocking out at concerts, and debating with her loved ones is what has become of her 21 year old life!